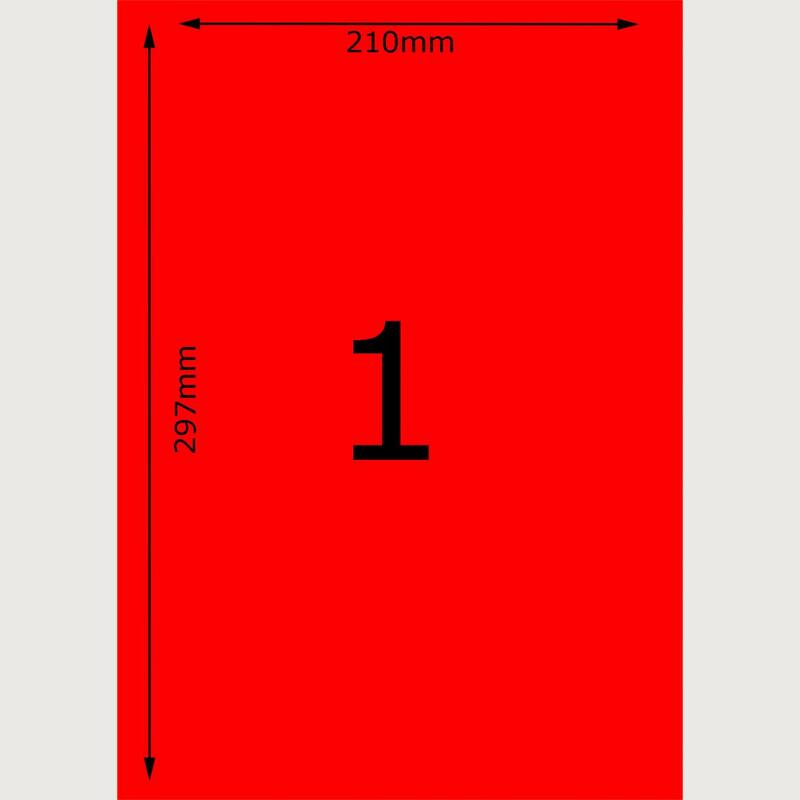 Red A4 Inkjet Labels - 1 Per Page - 210mm x 297mm - 2,000 Sheets. 4 Boxes of 500 Sheets. 1 Per Page Red Inkjet Labels - 210mm x 297mm - 2,000 Sheets. 210mm x 297mm Red Inkjet labels, high-quality permanent Red labels, for easy application to envelopes and letters, parcels or packages. Great for organising, labelling and general identification purposes in the office or in the warehouse. Each box contains 500 sheets of 1 per page square cornered inkjet labels, giving a box total of 500 labels. 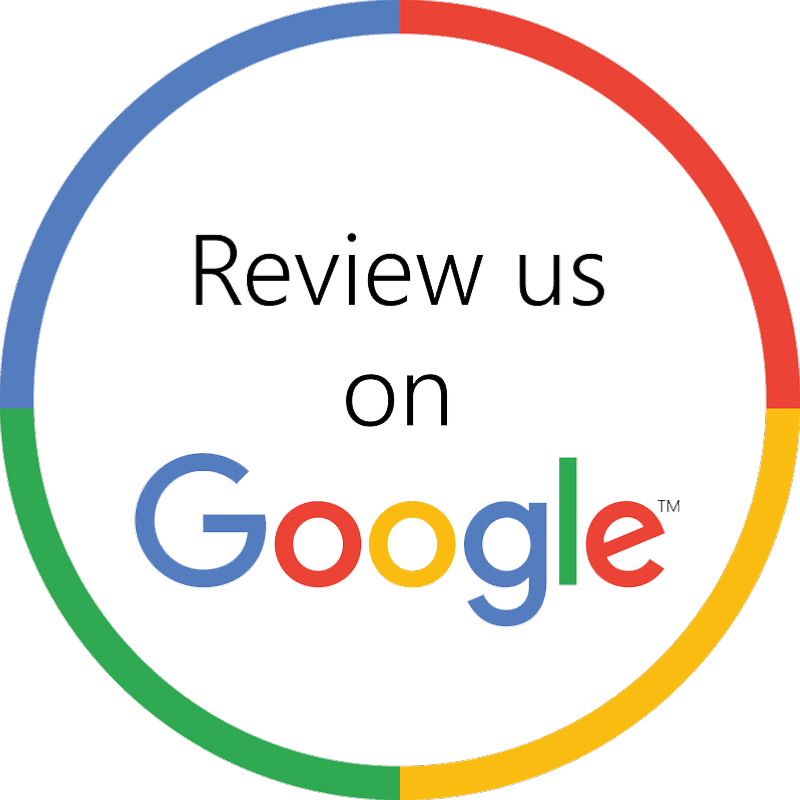 The layout of the labels are compatible with many of the leading software packages. The labels are suitable for use in all laser printers. 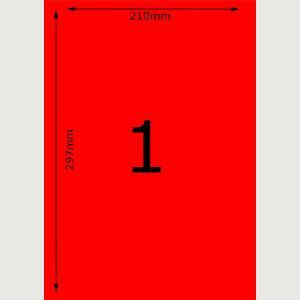 Red A4 Inkjet Labels - 1 Per Page - 199.6mm x 289.1mm - 2,000 Sheets. 4 Boxes of 500 Sheets. Yellow A4 Inkjet Labels - 1 Per Page - 199.6mm x 289.1mm - 2,000 Sheets. 4 Boxes of 500 Sheets. Yellow A4 Inkjet Labels - 1 Per Page - 210mm x 297mm - 2,000 Sheets. 4 Boxes of 500 Sheets.